There's always been a certain undeniably cosmic quality about Gold Casio. Delightfully catchy and infectiously addicting, the psychedelic disco dance four-piece know just what it takes to get you to move, no matter how hard you may want to resist. In almost every case, resistance is futile, seeing as their trippy synthesized beats overwhelm the body with the sensation of movement. And that's barely speaking of the reaction from their recorded material. Seeing them live, the incredible energy exuded from each of Gold Casio's is becoming. It's a charm not typical of many acts, but one they've managed to uphold since they popped up onto the scene. Though the music is always at the forefront their performances are so much more than that, incorporating lively costumes, set pieces and props, and even their bodies as creative devices for enlivening each production. 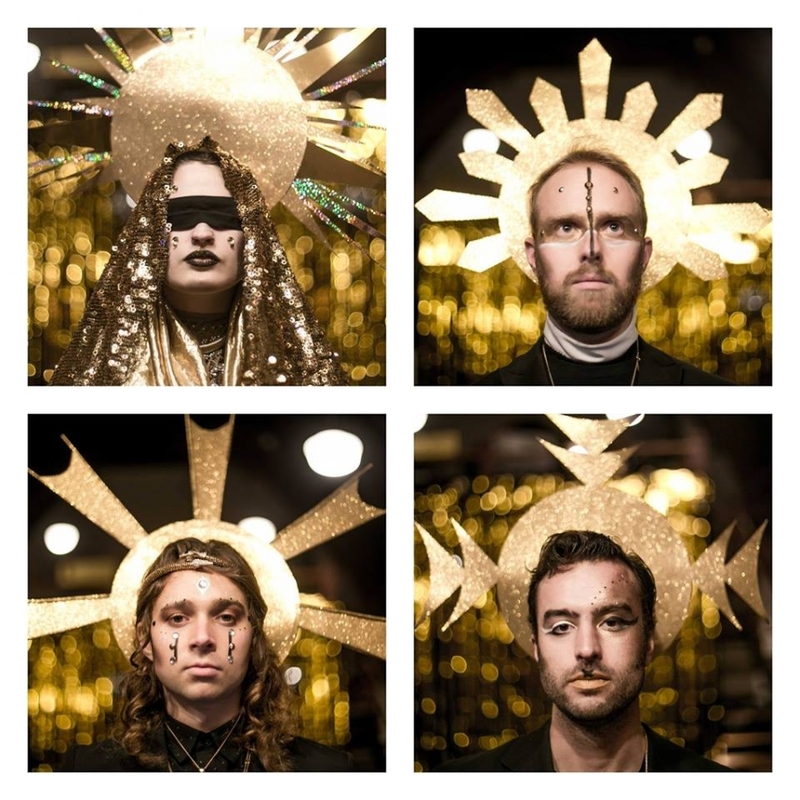 There's never a dull set or sound with Gold Casio, and you can expect the most from their SXSW performances, as well as their new EP titled Sinners due out in April. Gold Casio Dive Deep with "Gold Mine"
Gold Casio are the masters of local disco. Their live performances are engaging and visually stimulating, with their aesthetic falling somewhere in between disco royalty and yacht rock magic. Glitter, gold and a whole hell of a lot of dancing are always on the menu with Gold Casio, so when they teamed up with the ethereal jazziness of Coco Columbia an entirely new sonic aesthetic was created. Coming off their latest the Fever Dreams EP, "Gold Mine" is appropriately named hit of electropop that you can't help but groove to. Gold Casio gave us some cosmic responses to a few questions about the track. Give them a read below, but make sure you're blasting "Gold Mine" as you do it. What inspired "Gold Mine" thematically? Sparkling harpsichord from another dimension, poolside sunsets from past lives, winter nights with too much smoke and too many mirrors, pretending you're on a beach anywhere else. Why the choice of collaborating with Coco Columbia on the track? 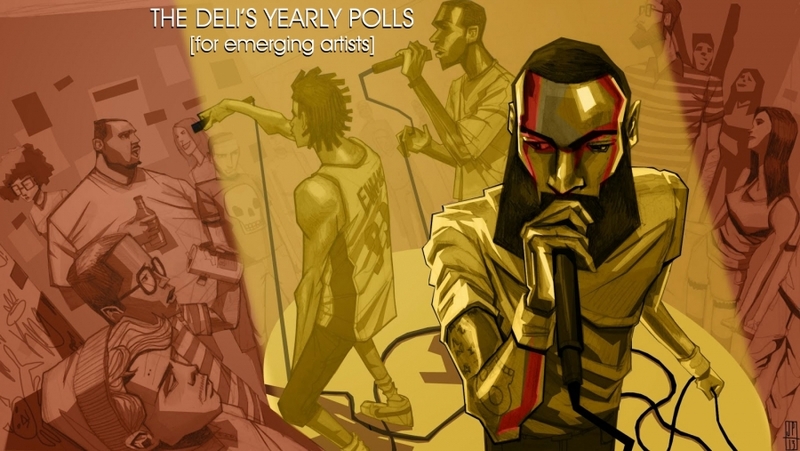 Were there other artists in the running? Astrological tendencies, geographical convenience, and divine intervention. Our human vessels and their interconnections predate both musical projects, the song was born before the identity of either had made waves on the scene. How did fans initially react to the Coco/Casio pairing and the song in general? Will we be seeing more features from other artists on GC tracks? What other projects does the band have in the works? Many more collaborations coming down the line, some with artists you probably already love and some you'll love soon! South by Southwest is one of the biggest music festivals leading into the summer season. It's historically been known to be one of the best tools for propelling up and coming artists into the next phase, or bringing back some loved artists for new eyes and ears. Portland's representation at the festival may not be high in numbers but it is ecclectic in offerings. 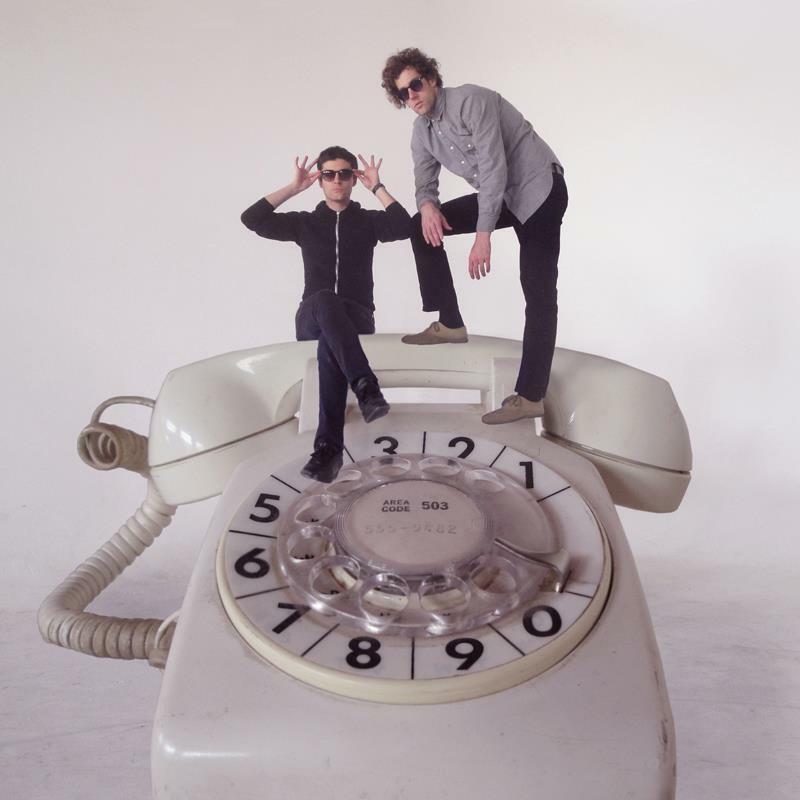 One of the city's fun acts playing the fest is Phone Call, our 5 year old local funky, r&b electronic duo that's been making hips move while also making us laugh with some of their lyrics. Delightfully minimalistic in its execution, Phone Call's sounds are the perfect display for the usual sensual themes found in their songs. It's all in good fun, and you can catch Phone Call post-SXSW at The Fixin To' on March 24 with Coronation and Gold Casio. Dancing options are promised to be available. It's been a months long road in the process of nominating and voting on who all of you feel are the city's best musicians for the year. After thinking back on all the shows played and albums released from 2016, we've finally got a solid list of Portland's finest. Take a gander at who you all fell for (and just how much you fell for them), while also showing some love to yourselves and the lovely jurors that participated. Thanks to our jurors: Linneas Boland-Godbey (Next Northwest), Aaron Sharpsteen (Photographer), Tony Prato (Bunk Bar), Duffy Rongiiland (Gnar Tapes), Rob Cullivan (Portland Tribune), Leigh Belacic (PDX Pop Now), Jeni Wren Stottrup (Gritty Birds Podcast), Annie Ostrowski (Riot Act Media), Blake Hickman (Good Cheer Records), Clifford Prince King (Photographer), Mo Troper (Impose Magazine/Portland Mercury), Chad Davis (Musician), Jordan Stamm (Drunk Dial Records), Hunter Skowron (Dazzleships Records), Todd Walberg (Photographer), Yousef Hatlani (Faces on the Radio), Corbin Corbinn (Crush House/Photographer), and Andrew Olson (dr0ne PR). Lithics exude mystery. From their experimental punk drone to their intentional lack of an internet presence, they're the band you may not have known existed until you saw them accidentally. They've been coasting in Portland's formerly under-appreciated but always DIY post/art punk scene for almost three years now with just two releases under their belt. Their three track, self-titled tape from 2015 gave us a taste, but it was their 2016 release Borrowed Floors that helped propel them into being Portland's best band of the year. 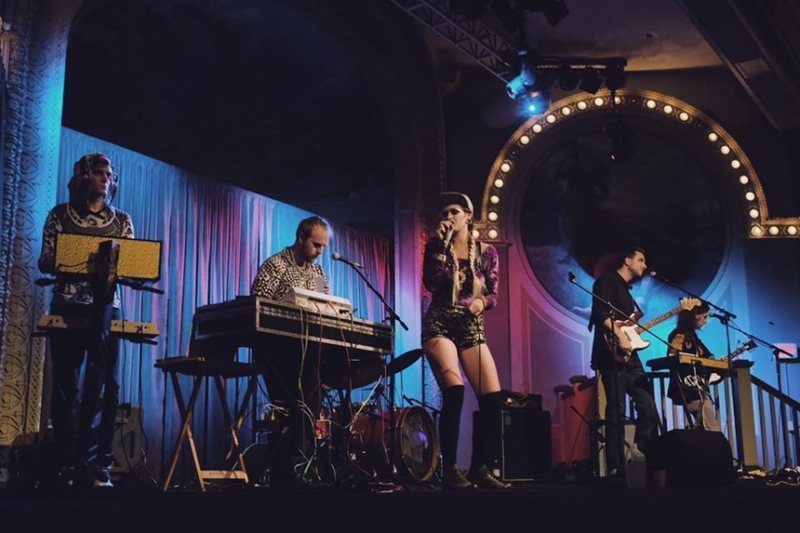 This isn't the first success Cat Hoch and her band have experienced with the Deli. She came out on top entirely in 2015, when she was voted the Best Emerging Artist of that year and was the readers' choice for best in shoegaze and psych rock for this year. From opening up for Ride to commanding even bigger stages, Cat Hoch and her talented group of musicians aren't stopping anytime soon. Ambiently soft yet broodingly heavy, Abronia have expanded their lineup to match their beautifully atmospheric and expansive sound. Our overall pick for best in electronic and experimental and perfect for moments of mental reflection (but easy to enjoy in damn near every other scenario), Abronia's dominanation of the experimental side of the poll makes total sense, and we can't wait to hear new releases from them. Gold Casio for winning the overall poll (which is our local jurors' votes + the readers' poll votes) and Abronia for winning our readers' poll! 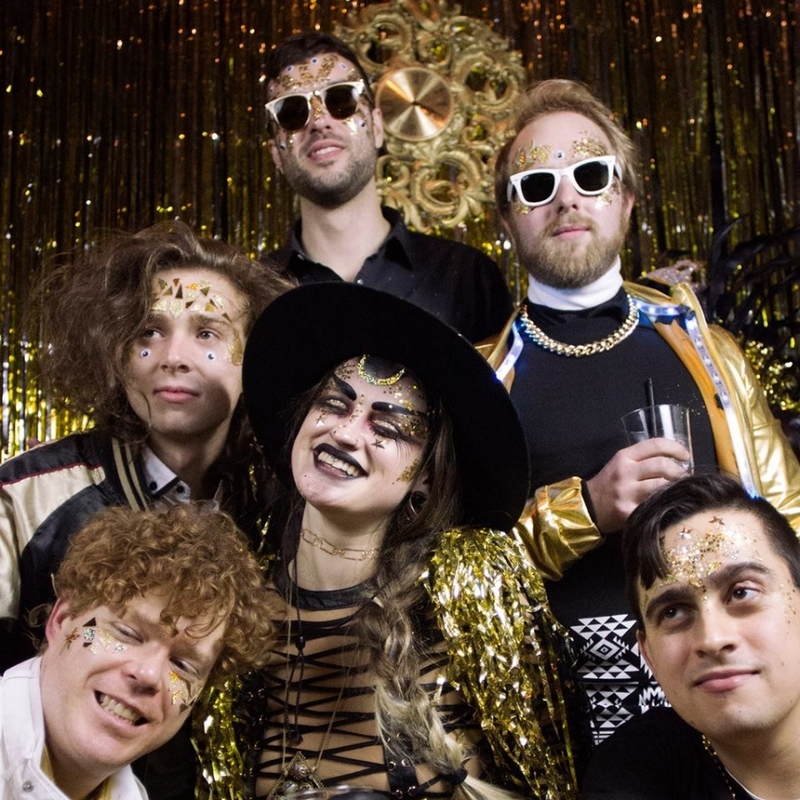 Likely the only psychedelic-electronic-disco act around, Gold Casio have been favorites in the local dance scene for a while now to those "in the know." But now, with more singles and shows under their belt, the band's incredibly rhythmic and somewhat flirty musical nature has made its way into the hearts of those outside of the usual dance club dwellers, proving that all that really glitters is Gold...Casio. Ambiently soft yet broodingly heavy, Abronia have expanded their lineup to match their beautifully atmospheric and expansive sound. Perfect for moments of mental reflection but easy to enjoy in damn near every other scenario, Abronia's dominanation of the experimental side of the poll makes total sense, and we can't wait to hear new releases from them. Take a peek at our other poll placers and be sure to show them some love as well!